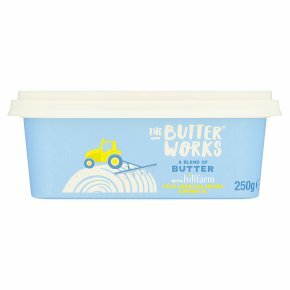 A blend of Butter with Hillfarm Extra Virgin Cold Pressed Rapeseed Oil. Naturally rich in omega 3. Hillfarm Extra Virgin Cold Pressed Rapeseed Oil is made on a family farm in Suffolk. It is rich in Omega 3 and contains Omegas 6 and 9. It has a mild nutty flavour with a rich golden colour.